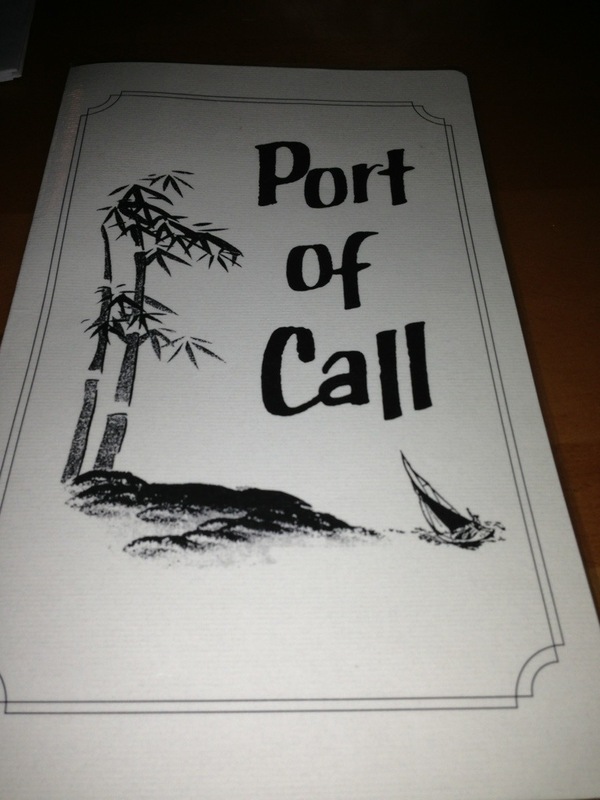 On a recent trip to New Orleans, my boyfriend and I discovered Port of Call. It was a top rated burger joint on tripadvisor ; locals and tourists alike claimed it is “worth the wait.” This is a no frills kinda place and the average wait time is around 1 hour. The space is small, however the bar takes up half the restaurant. You can put your name on the list or wait for a seat at the bar which is first come first serve. We had quite the experience. We tried to go before an 8pm ghost tour, however, the wait was around an hour and a half. We tried waiting at the bar for two seats, however, it was quite stressful; people were cowering over bar patrons waiting to pounce on their seat the second the credit card bill was brought out. I could not handle the stress. We decided to try to come back around 10pm after the ghost tour to see if there was still a wait. The wait was less than 30 minutes. For a restaurant that deals with so many people in one day, the staff at Port of Call are some of the nicest people. The bartenders were working their butts off but finding time to smile, take everyone’s orders and listen to stories from locals who obviously go there frequently for the amazing deals on drinks. Once we sat down we were greeted by the sweetest waitress. She gave us a little time to look over the menu and got us some drinks. After reviewing the very small, yet focused, menu I inquired about the burgers. Turns out they put nothing on the grill except burgers and they don’t add butter or anything to them.. They serve baked potatoes instead of fries. I was so excited! The waitress said they frequently have people ask to have their buns toasted on the grill and they won’t do it. I ordered a burger with no bun and baked potato plain. My boyfriend and I both agreed this was one of the best burgers we have ever had. It was thick, not greasy, not too salty and cooked just the way we liked it. 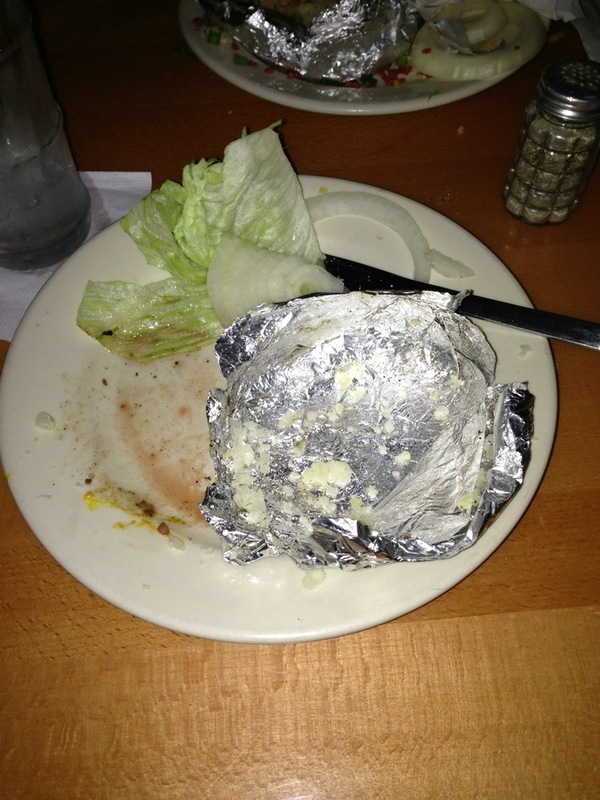 I wish I took more time to get a picture of my food before I devoured it. But here are the remains. This is definitely a place you should check out, however, this is not the place you should visit if you are in a rush or are impatient. If you have some time and are in the party mood, they have giant tropical drinks that are only $10 and you can walk around New Orleans with them. We loved this place, and even though this is not your typical New Orleans restaurant (they don’t serve red beans and rice, jambalaya or po-boys) it will knock your socks off and not break the bank at the same time. What is your favorite gluten-free burger? I run a Gluten Free travel website and just came across this review. I was wondering if you may allow me to share the review to help fellow gluten free travellers. I would happily link back here directly with credit. Of course! I have other travel posts you can share too! Apologies for taking so long to respond. Unfortunately I somehow missed your response. Would it still be ok for me to share this review please?